Conditions for salmon fishing had been difficult prior the 5th of June, with salmon lying in the deep pools and never showing interest in any fly put over them. Thankfully the weather broke and within 24 hours of rain falling a 5lb grilse was landed by Kevin Keaney and four more fish landed in the following two days between Seamus O'Neill and Stephen Cullinane. On Monday the 18th of June a fabulous 12lb salmon was landed by Brian Davy. Anglers saw plenty of salmon rising to the surface but no fish took a fly until Saturday the 23rd of June when a 6lb and a 7lb salmon were taken from Beat 1. 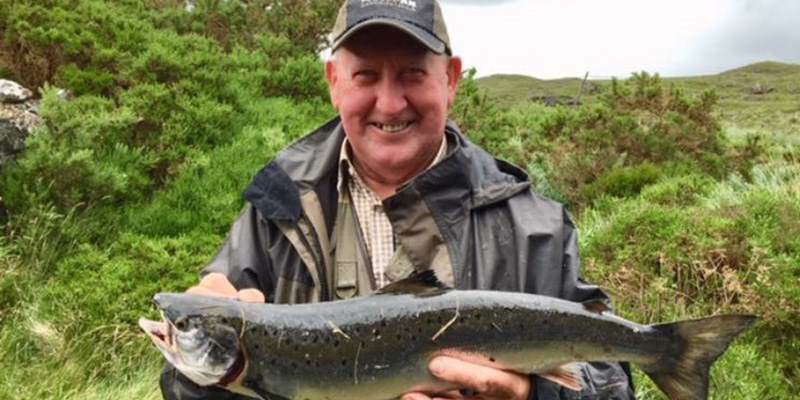 Anglers have had plenty of sport with sea trout as two anglers in particular had well in to the double figures each in one evening fishing sea trout. Grilse and sea trout are coming in to the system in steady numbers on every tide which bodes well for the season ahead once we get some more rainfall.